We went to the Singapore HR community and asked the ultimate question... Just how far we have really come? Almost six out of ten Singaporean HR practitioners believe HR has a seat at the table, according to the latest poll by HRD. This means a significant portion of business leaders still see HR as merely an administrative or support role. We spoke to three senior HR professionals about their views on the matter. “Generally speaking, we have a long way to go before HR has a seat at the table,” Sapna Saxena, the head of country for HR in Asia-Pacific at Telstra, said. HR has been struggling in this area for a number of reasons, she added, including the traditional way in which HR is perceived. HR’s various custodian, compliance and legislation responsibilities also mean the value added role that HR can play tends to take a back seat. When HR succeeds in gaining a seat amongst the decision makers, it is usually due to their individual abilities rather than any external assistance from above. “Often HR personnel have a seat at the table not because of the way the organisation is run but because of their own talent and what they bring to the table,” Saxena said. These types of people need to be brought into the spotlight more and more, she noted; business leaders need to be shown that HR can be partnered with rather than simply being told what to do. Hilti is one organisation in which HR is seen as a truely strategic partner to the business. He compared Hilti to other companies in which functions such as sales, finance and marketing took priority on the agenda over HR. American Express is another firm where HR has gained a seat at the table. Joanna Miller, the firm’s head of HR for Singapore & Indonesia, told HRD she could work closely with business leaders to impact growth within the firm. However, she acknowledged that HR in international companies had progressed more towards being true business partners when compared to their counterparts in many local Singaporean firms. 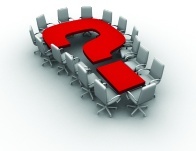 Do you feel that HR has a seat at the table in your organisation? What are your opinions on this matter? Please let us know in the comments below or by sending us an email. What do CEOs really think of HR? Will an uncertain future spell doom for HR?